The Twin in Berlin: "Sister, You Are Good"
SISTER MURDOCK IS LEAVING. And I am taking over Leipzig! WAAAAH. President Kosak came to Leipzig on Friday morning for my quarterly interview. That was solid. Getting to talk with him one on one, he is such a spiritual and tender man. I really love him and have learned so much from his example and testimony. He complimented my German (holla) and then told me that I was a good sister. Haha, that is such a typical President Kosak thing to say, "Sister, you are good". I love when he says that! Oh man, he is done next week, so that was it! haha, he also told me I looked like an Indian. I love him. We had a good little time together. I asked him to pray at the end. He said, in Deutsch oder Englisch, (German or English ) and I was GERMAN BITTE (German please). And then he said the most beautiful prayer I have ever heard, oh meine güte!! I love him. I'll miss him. President Fingerle arrives next week. I've asked many ward members if they know him, from what I have heard he is pretty solid. He has young kids, so that's different. I met his son actually a few weeks ago, HE WAS SOLID. If his dad is anything like him, than we are in for a good ride. Met with Lou twice this week, then she got sick so we actually lost contact for a bit. We were pretty worried, as that is not normal for her. And then on Sunday she showed up at church! WUNDER. She is so sweet. With her baptism we are probably going to have it in a few weeks, so she can work on staying for all three hours of church. Her testimony of the basics is growing though, she understands why the Lord has given us commandments, She is solid. I love her! The best thing that happened this week besides my interview was a little miracle we had when waiting for a tram. We were sitting down, and then this lady walked by and saw sister Murdock's name shield. She thought we were JW’s, so when we said we were Mormon, she asked what we believe in. We actually had a good conversation with her. She opened up to us! She was curious if God really is there for her. We shared our testimonies with her and told her about what we do. She was way interested, and said she would think about it. Even if she doesn't call us in the near future, I could tell that she appreciated what we had said. I am really sad that sister Murdock is leaving!!! Feels like we just got back together!!! She has grown so much and I was so excited to serve with her. It was a fun ride while it lasted. I'll miss her. That was the hardest thing, finding that out. 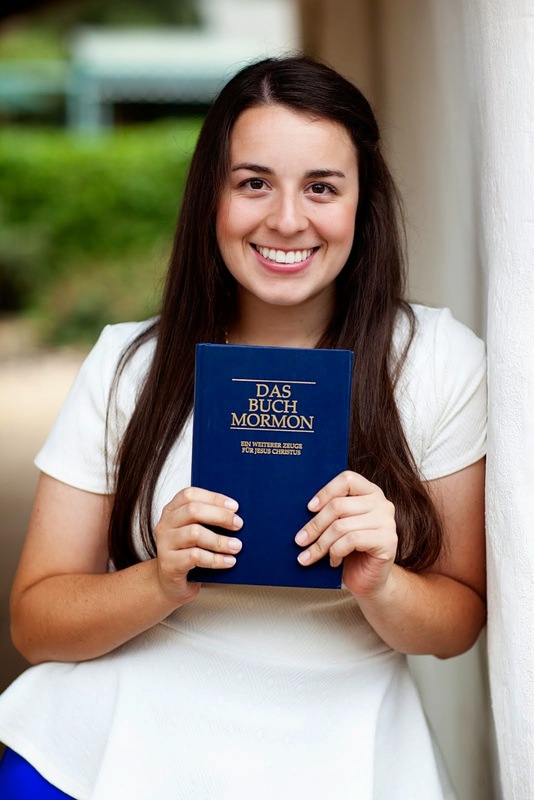 My new companion is sister Reed, we actually got to Germany together! She sounds chill, and solid. She comes tomorrow. HERE WE GO. I had many tender experiences with prayer this week. Too often I feel when I am weak that I have failed. TIS NOT SO. I am only weak when I do not go to the Lord. I can be weak but still have a strong faith. As long as I go to Him who makes me strong, then it's all good. I know that Heavenly Father is there for us, unconditionally. One of the most precious truths to know. He loves me, He hears me. I know it! Opera House in Innenstadt. Truly a lovely city!!!! !